From 20th to 22nd, I came to Hangzhou, which Marco Polo had described to be "The most beautiful city" in his book, "The Travels of Marco Polo" also known as Oriente Poliano (Reference: "About Hangzhou," "Culture of Hangzhou" and "How to make things enjoyable in Hangzhou"). The streets around the West Lake are marvelous with full of greens everywhere. When I walked around the West Lake town (about 12 km), there were many willow, camphor and platanus trees. The streets lined up with willow trees were very beautiful. I was impressed with the affluent greenery of this city (Reference: Hangzhou flower garden ). You might have seen on television etc. but a very rare phenomenon of high tides with the height of 2 to 3 meters running several hundred kilometers up from wide river mouth gradually till it becomes narrow is seen in Sentoko at around 15th August as per old calendar (end of September as per new calendar). This phenomenon is also seen in the Amazon river. The timing is only a week from now; It is a pity that I have to return back immediately. This time, I came for a keynote lecture ("Social policy for the aged society") at the annual conference of the Society of Internal Medicine in China. I met many old friends and we renewed our old friendship. There were Prof. Thomson from Department of Medicine, Monach university, Melborne, Prof. Drazen, editor-in-chief of New England Journal of Medicine, Prof. Kohler, director general of Secretariat of International Society of Internal Medicine of Bern (Switzerland), Prof. K.N. 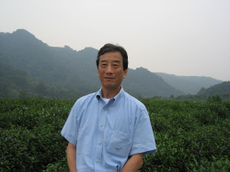 Lai, director of kidney, Department of Medicine, The University of Hong Kong and Pro. 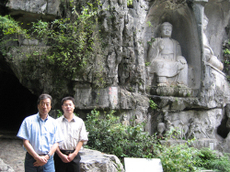 Zhaori, chief editor of a Chinese science magazine "Chinese Medical Journal." The host was Prof. Wang Haiyan (lady professor), president of Chinese Society of Internal Medicine, one of my old friends (Photo1). I felt reformation and international developments for global era in progress everywhere and its dynamisms were great. It is just wonderful and inspiring. 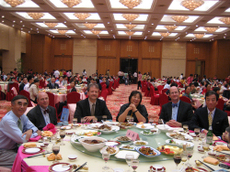 Photo1: At the reception, from left, Professors Lai, Drazen, Kohler, Wang, Thomson and myself. Next day, Prof. Lawrence Tierney of UCSF, who attended my clinical lecture 2, 3 times in my Todai era and chief editor of "Current Medical Diagnosis and Treatment" whom I helped for chapter "Abnormalities in body fluid" arrived. As introduced also in "Learn in ‘Major leaguer’ "(Igaku-Shoin, 2002) by Dr. Matsumura Rishi, he is a wonderful teacher visiting Japan every year and traveling all over the world. He will be visiting Japan for about one month from next month. Maybe the readers of my blog are aware that I go to various places in the world but usually don’t go for sightseeing. Regret to say I don’t have time for it. 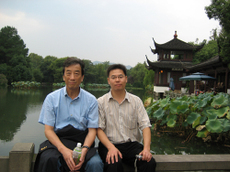 However, this time, all the lectures other than those by invited lecturers were in Chinese, so Dr. Zhangfei Shou (working in related hospitals of Zhejiang University, School of Medicine. Its Dean is Dr. Ba Denian whom I have introduced in my blog last week) took me to many places. I am very thankful. 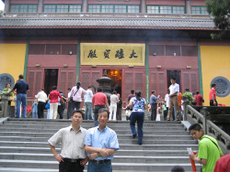 We went to Ling Yin Temple (Photo2 and 3), Fei Lai Feng near it (Photo4) and then to Six Harmonies Pagoda (here, "Six" means heaven, earth, north, south, east and west ) (Photo5). 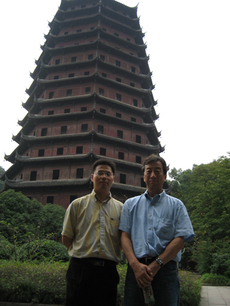 Hangzhou is famous for producing tea and silk since long time ago. It is a sister city of Shizuoka city in Japan. 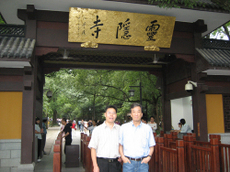 We also visited museum of tea "Chinese tea museum." I felt relaxed in nature at this tea museum (Photo 6), it’s been a while since I had this feeling last time. As like at Dalian last month, it is a pleasure to see an increasing level of exchange in academic and private sectors taking place between neighboring big countries. The sites which I cited in my blog introduce many hands on blogs without limiting to official blogs. If you are interested, search for the sites which have good information. I will be visiting Beijing again to participate in WHO meeting. Am I “out of box”? “A stereotype breaker”? In the morning of September 19th, I made a keynote speech at「BioJapan 2007-World Business Forum」 held at Pan Pacific Yokohama. The CEO of Alnylam Pharmaceuticals, Dｒ. Maraganore from USA (whom I’ve met 3 years ago at his company) started by talking about "Progress in development of a new class of innovative medicines." His speech was followed by the CEO of Novozymes, Denmark, Mr. Riisgaard who talked about "Bioethanol – A sustainable contribution to the future energy supply," then I talked about "Innovation of bio technology: where is it heading to?". There were people from OECD and the 6 of us had a pleasant talk over dinner the previous night. There were 2 people whom I have known for a while. It’s quite a small world. By the way, Newsweek Japan (September 19 edition) published a cover story titled "Confession of a Tokyo Correspondent." In this report, David McNeil writes his hope to tell about "the true Japan." He is a Tokyo correspondent of the British Independent newspaper, but also contributes articles to other foreign newspapers. He is also a coordinator of "Japan Focus." "・・・And they like to introduce people who destroy the stereotype of a no face Japanese working like a working drone in Japan, a giant machine. There are a lot of unique and talented people in Japan like Kenji Kawakami who presides Japan’s Unuseless Invention Society, Special Advisor to the Cabinet Kiyoshi Kurokawa, designer Jun Takahashi, composer Kazue Mizushima, Japanese Taiko drummer Eitetsu Hayashi etc. I’m lucky that I get paid by writing about them. ・・・." So am I different from ordinary Japanese? I don’t care that much, but I’m honored that they see me "decently." At night I had dinner with the British healthcare authorities and people from the British media like "Independent." The World Chinese Entrepreneur’s convention was held for the first time in Japan in Kobe, and I was invited for a panel about healthcare. Participants were Dr. Ba Denian, Medical President of Zhe Jiang University from Hangzhou, China (he has studied at Hokkaido University and also a member of Institute of Medicine), Dr. Edmund Lee, Professor of National University of Singapore and the leader of clinical pharmacology from Singapore, Dr. Maggie Ng from Hong Kong of the Juliana Chan Program who ran the RENNAL with me and the MC was Professor Masanori Fukushima of Kyoto University. Time may not have been enough, but the discussion was good. Regarding nation’s competitiveness, if I may say, it is a pity that Japan lags far behind from other countries. What is most important is not only researchers but for each and everyone to act based on an "entrepreneur spirit." As I keep saying, this is the core message of "innovation." Well, in what language should I speak in this panel? I was a little concerned, so I attended the reception the previous day and asked for advice to the organizer of the panel, and decided to speak in Japanese with English slides. Of course there was simultaneous interpretation in Mandarin, English and Japanese. 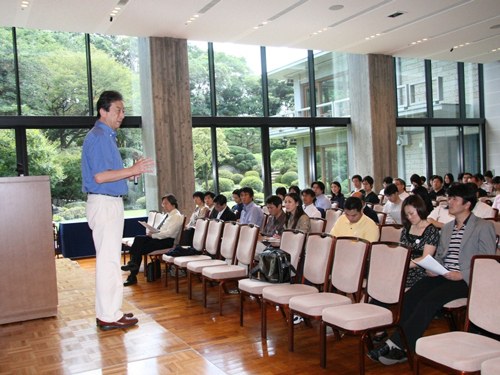 One of the participants, Dr.Ryuichi Morishita has quickly updated his blog about the Convention. In the reception held the previous day, I met Mr. Yoichi Funabashi, former executive of the Nikkei Newspaper; Mr. Akira Kojima, former President of Philippines; Mr. Ramos; and friends and people related to Genron NPO. Ms. Kanae Yamamoto, Ministerial aid of Ministry of Economy, Trade and Industry also showed up. I also met with First Secretary Mr. Liu from the Chinese Embassy who is temporarily transferred from the Chinese Health Office. Mr.Ramos wears glasses since he was President, but it doesn’t have lenses, it’s just fashion. Also, he says that he always has cigars with him although he doesn’t use it recently. This is not to actually smoke, but to give an "impression." Quite a man. Next morning, I met with the mayor of Kobe, Mr.Yada and listened to Kobe’s future bio plans. They have built the groundwork, but how to make full use of it, that is the issue. I would like to extend my gratitude for President Yan Hao and Executive Director Kyo of EPS which is becoming one of Japan’s largest clinical service provider. Thank you very much. I am leaving for Hangzhou from the 20th. Am I afterall ‘Henjin (out-of-box)’, ‘a breaker of stereotype of Japan’? People from OECD were also there and I had dinner with five of them at the night before. I knew two of them from long time ago. It’s a small world, isn’t it? Under the subtitle of the article, ‘Although Japanese officials prefer stories of exotic Japan,’ I found a statement as below. Ken Shibusawa is one of my friends. He is a businessman who studied at UCLA Andersen Business School and is recently popular known as Eiichi Shibusawa’s 5th generation. The amount of information he sends out is substantial as in his blog "Alternative investment diary" (Japanese title:「オルタナティブ投資日記」) and "Thinking of Eiichi Shibusawa’s 『Analects and abacus』" (Japanese title:「渋沢栄一の『論語と算盤』を今、考える」). Also he has recently published several books related to Eiichi Shibusawa’s philosophy. Please look it up at Amazon. A while ago, in the afternoon of Sunday, September 9th, I was invited to talk at "Project 13%" which is run by Mr. Shibusawa and went to International House of Japan, a historic building in Roppongi. About 150 people gathered mostly young people at a glance, and a lot of women. Most of them were entrepreneurs which is something unique for a lecture in Japan. I found it a different society from the Red Herring which I recently introduced, but most of them seemed to share the same spirit. The lecture began with my keynote speech. I started by asking "Please raise your hand if you are 40 and above." Around 30% of the participants raised their hand and about 40% were women. I began to talk about innovation referring to this point. Photo1: My speech. Casual Sunday afternoon. After my speech was Kaoru Iokibe (University of Tokyo) followed by Naoko Nishizawa (Keio University) and Masakazu Shimada (Bunkyo Gakuin University). It was a panel by young energetic 3 scholars. Dr. Iokibe talked about "Shigenobu Okuma", Dr. Nishizawa talked about "Yukichi Fukuzawa" and Dr. Shimada talked about "Eiichi Shibusawa." They each introduced the great predecessors, shared their opinion and went into panel discussion (photo2). It is very encouraging to see such young and passionate scholars. Dr. Iokibe who talked about Shigenobu Okuma turned out to be the son of Dr. Makoto Iokibe, Professor of Kobe University who later became the President of National Defense Academy in Japan whom I introduced in my blog in August. No wonder, they have an uncommon surname and their academic field is similar. They were all wonderful, but time was not enough. The last part of the lecture was a talk session between Mr. Shibusawa and Dr.Hiroshi Tasaka, Professor of Tama University Graduate School whom I have recently introduced on several occasions. It was a wonderful sunny Sunday afternoon. It’s been a while since I had a nice meeting, seeing a garden surrounded by shiny sunlight and refreshing nature. I met a lot of people. They all seem to have spent a happy afternoon. There are a lot of blogs introducing this seminar of Project 13%, so let me introduce some of them (in Japanese only). It’s exciting to see a lot of people full of energy. Take care, to all the participants! I’d been to Dalian from 5th to 8th September. It was a conference of “New World Champions" that the so-called Davos Forum (World Economic Forum－WEF) over. I have attended 7 consecutive years of Davos Forum that is held every year in January and I have also attended other conferences that the WEF preside over. I think they are considerably familiar for the readers of my blog. Davos Forum of this January and conference at Singapore in June etc are as I have reported. The conference hall in Dalian was a very big one. The conference was a large successful meeting where about 1,700 people had gathered from 90 countries mainly from Asia. Especially, the participation of young people and new enterprises was great, and was very much crowded. From Japan, politicians like Jyunko Kawaguchi, Motohisa Furukawa and Keiichiro Asao, university people like Heizo Takenaka, Director Nagata of Ritsumeikan University, and Yoko Ishikura etc. were present. Also, stakeholders from wide range of society, mainly business people such as Yoichi Funabashi, chief editor of Asahi Newspaper and Tamura, Administrative Vice Minister of the Ministry of Environment were there. I also met Hiroshi Tasaka and Kumi Fujisawa whom I have introduced on this site recently. Photo1 With Ms.Tsubouchi in charge of Geneva headquarters of WEF Japan at hall entrance. Photo2 From left, Director Lee of WEF Asia meeting, Tsuchiya in charge of Geneva headquarters Japan, Ishikura, I and Takenaka. 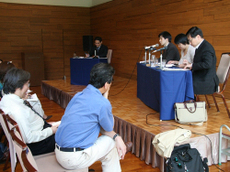 Photo3 From left, Toru Takanarita the editor of Asahi Newspaper, I and Yoichi Funabashi the editor in chief. I participated in two panels as a panel member. First panel was “The Transformative Potential of Science and Technology in Asia”. Mr. Graves, the chairperson of this session is related to the production of the program that used as its anchor Ms. Nonaka who later became Chairman of Sanyo electric and was a topic and Ms. Yoriko Koike, one of the star politicians of today. I exchange E-mails with him even after the meeting. Wan Gang, the Minister of Science and Technology of China, is originally a scientist and also was the president of a university. His opinion was also excellent. Look it up on the site of weforum.org. 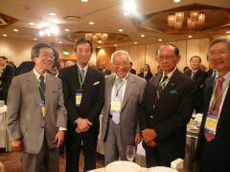 Moreover, the PR activity for “Table for Two” project which was planned by James Kondo our colleague, Furukawa a Democratic Party congress member, Nakata the Mayor of Yokohama, Chino of Itochu corporation and Young Global Leaders of WEF of Japan is also active and during this meeting Press Release to the world was also conducted. Excellent! It is a practical program based on groundbreaking idea of offering the surplus of the intake of nutrition which cause the obesity and diabetes in advanced countries to the malnourished children in developing countries through WFP (World Food Program). I would encourage all domestic companies as well as international companies to participate and please introduce us to any interested companies. Please read also my support message of this program. Photo4 Furukawa the congress member of Democratic Party and I in front of a “Table for Two” poster. On the second night of reception, Prime Minister Wen Jiabao came to greet and then excellent shows with good tempo in large numbers were performed one after another. Photo5 “Thousand Armed Avalokiteshwara” by deaf young people in reception. Really excellent! Some of you may have seen it on television in Japan. Photo6 A scene from the reception shows. The second panel during dinner, in which I participated, was a session on Energy. It was so nice. I met Lady Barbara Thomas Judge, former Commissioner of (Unites States) Securities and Exchange Commission (SEC), who had visited Tokyo Stock Exchange many times about 20 years ago and who strongly supported my opinion related to nuclear energy, almost after one year. I participated with her in BusinessWeek CEO Forum performed in Beijing last November in the same panel. Photo7 Lady Judge, I and Ishikura. Photo8 Prof. So (From Dalian. He used to teach in the Ritsumeikan Asia Pacific University), Director Nagata, I and Tsukamoto the Director of JETRO. There were various new encounters and reunions. Friend’s circle extended and I also got dynamic energy, it really was stimulating three days. Gained much more encouragement. Our involvement in these activities also seems to have stimulated young people who participated from Japan which is very good. As I always say, future is in the hands of young people. Photo9 Dr. and Ms.Professor Schwab, Chairman of WEF and I at Japan reception. Dalian is a very beautiful city. Japan has constructed its infrastructure which is maybe the reason for the hearty welcome. They show us the headquarters of Manchuria Railways, the laboratory of Manchuria Railways, and so on. They are maintained beautifully and are located at the center of city. About 4,000 Japanese enterprises are now operating in Dalian, and I think the contribution of Japan to expand its economy, employment etc. is considerable. Most local staffs speak Japanese in the hotels etc. I woke up at 5:30 in the morning on 8th and went to Chubu International Airport by 8:00 a.m. flight. From Chubu International Airport travelled to Nagoya railway station by Meitetsu railway and then again travelled to Tokyo by Shinkansen. I arrived at the assembly hall of Japanese Society of Nephrology at 3 o’clock and did the memorial speech for its 50th anniversary. After that, I immediately headed to Science Council of Japan and participated to the 2nd day of international conference “Sustainable Society” held every year. I gave the last (closing) speech from 6 o’clock. Whew, I am hopping here and there busily. 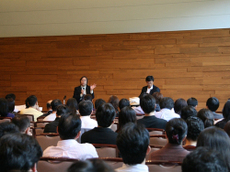 On September 12th, I made a keynote speech at 「Innovation Japan 2007」 held in Tokyo International Forum. I talked for 30 minutes from 13:00 and the content I covered is almost the same as "GIES2007"（link to my blog ） and Helsinki （click here to jump to my blog ） where I spoke in English and Japanese respectively and I used mostly the same slides. They are posted on each respective site, so I hope you read, see and listen to it. When the panel for keynote speech started, it was the very moment when Prime Minister Abe announced his resignation. Mr. Masahiro Hashimoto from NEDO who was the MC for the panel handled it well and broke this news. The panelists were Dr. Yuko Harayama from Council for Science and Technology Policy, Dr. Kazuhito Hashimoto who is the former Director of Research Center for Advanced Technology also known for photocatalyst research and is one of Japan’s leading, extremely talented and definitely a prominent innovator. Dr. Ryuichi Morishita who is a professor at Osaka University and Director of Anges, Mr. Hitoshi Sekita who is also known as an “out of the box” person who spun-out from NEC and founded Cyber-Laser with a wonderful laser technology. It was a great panel. As always, for detail of this panel and venue, please visit Deguchi san’s site which gives a good description. I went around and saw mainly the exhibition of university ventures such as Japan Women’s University Dr. Kashiko Kodate’s female student group’s exhibition etc. As I always say, women’s success is an issue at a global level as well as something we can look forward to. It is especially an important issue for Japan. There are lots of wonderful potentials hidden in the fruit of a research, but what is necessary to make them into businesses, are investors and businessmen with affluent entrepreneur spirits. Most researchers are not good at presentation to investors, needless to say about their experience or knowledge of business. This is the problem that Japan now faces. On this point, Mr.Kazuhiko Toyama’s recent book “Company rot from the top” (Japanese title:「会社は頭から腐る」) is based on a true story and you may sympathize deeply and would be of some reference to you. I recommend you to read it.